Bitsy Bear: A children's book about child abduction that is terrible for children. Bitsy had her whole life in front of her. Remember poor Curious George? How every time that “good little monkey” tried to have a little fun, he would get severely punished? Like, he’d walk up to a friendly stranger in the jungle and wind up smuggled across the ocean in a bag, or he’d play around with the phone and end up in jail? This year brings the successor to Curious George, an energetic little monkey named Bitsy who is possibly the most pitiful children’s book character I’ve come across in a long time. 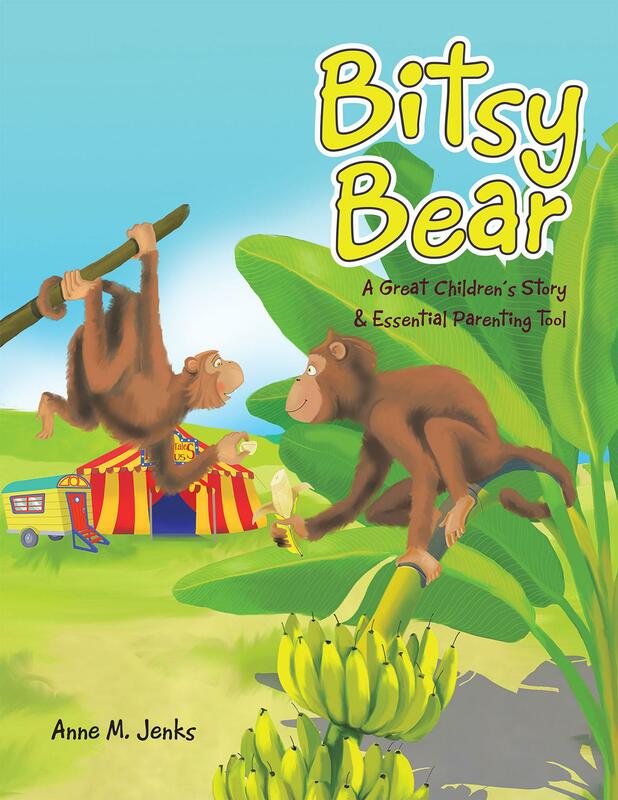 In the new book Bitsy Bear, Bitsy lives in the jungle with Mama and Papa Monkey and her siblings Itsy and Mitsy. Bitsy is an incredible little acrobat on the vines, folding herself into a little ball and flying through the air! But, two generations after George, this little monkey has had the mischievous curiosity so thoroughly beaten out of her that she doesn’t even try to do anything Mama and Papa don’t allow or have the will to stray for a moment out of their sight. The trouble starts because of this terrible predicament, one that harried parents (who don’t suffer from metaphor blindness) will recognize: “The little monkeys had lots of extra energy. Some days it was hard to see where each monkey was at all times.” When Mama and Papa monkeys can’t see where their little monkeys are at ALL times, terrible, terrible things happen. A BIG BAD BEAR named Walter from the MEAN DIRTY city hatches a plan. Walter does a high-wire act at the circus and needs a small talented animal to ride the tricycle in his act. So he goes to the jungle one day and spots, “with his beady green eyes,” little Bitsy doing her flips. He lures little Bitsy in with a banana, and just so you don’t miss the real-world implications of this scenario, the picture shows Walter from the side view, holding up his erect banana for Bitsy to grab. Author Anne Jenks says she wrote the book because, as a retail pharmacist, what she saw when children shopped with their families was “troublesome.” Mom would be absorbed in the new “tart deco” line from Essie while kid wandered alone into God only knows what aisle. “This possibly dangerous situation always bothered me,” she writes. What possibly dangerous situation? I realize that I can say until I’m blue in the face that child abduction by strangers is an exceedingly rare occurrence, that a child is as likely to be killed in a plane crash as to be abducted by a stranger, and that many parents just won’t hear me. I get that fear and rational thought are not allies, and sometimes the panic just rises up in a parent’s throat—mine too. But for God’s sake don’t lay it on the kids. Because if you do, you will end up with a generation of Bitsys: sad, passive, meek creatures who manage to make a jungle really boring. At least the Curious George books sent kids a double message. Yes, George always got in trouble when he was left alone. But the authors, Margaret and H.A. Rey, made sure to devote many lavishly illustrated pages to how much fun that trouble begat. When George runs away to the circus, he learns dozens of new tricks on the high wire. But Bitsy, balanced on a tricycle on top of a ball, looks like she has the croup. Jenks’ appendix is full of helpful safety tips for parents, such as: Keep DNA samples at home and teach kids about safety latches in trunks. She says to discuss “good strangers,” such as a police officer and other family members, and “bad strangers”— “people who try to lure children from public places.” In fact children are vastly more likely to be abducted or molested by family members and people they know than they are by strangers, but this kind of information is far too complex for Jenks to process. “This book is dedicated to the sweet innocence of every child,” she writes. If you are so unfortunate as to have a complicated child with other, less savory qualities—curiosity, willfulness, mischievousness, even, God forbid, a wicked temper—I’d say it’s not the book for you.